Every year, nearly 2 million people contract infections while staying at the hospital, and inadequate handwashing is a big cause. It turns out we might be able to help fix the handwashing problem with help from intelligent sensors, and a Huntsville, Ala.-based sensor-network company called Synapse Wireless is working on just such a system for its hospital-industry customers. However, the trick to pulling it off isn’t just having the right sensors, it’s also having the right tools in place behind the scenes, on the servers that act as the sensors’ brains and tell them what to do. 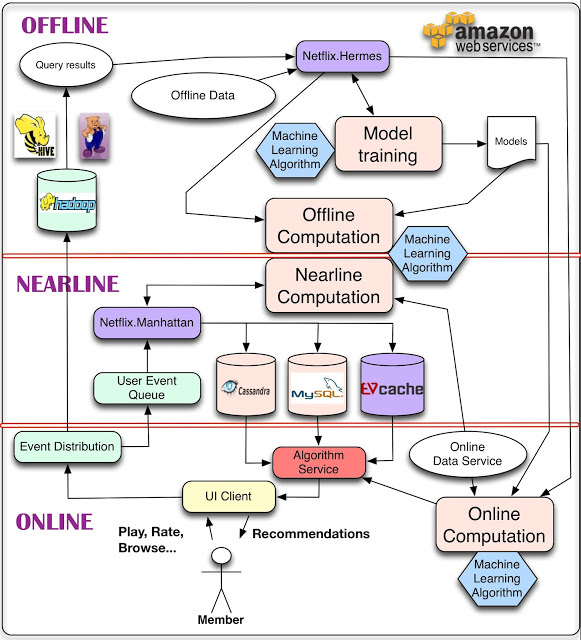 Like Synapse’s, the Netflix data architecture is about online, nearline and offline processing. Feature image courtesy of Shutterstock user Andrey_Popov. I agree with BenchTime wholeheartedly. It seems the opportunities and possibilities are genuinely endless in this space. It’s an exciting time all the way around. I just hope that the data can flow freely and remain accessible on multiple levels rather than being horded by the biggest players. While healthcare is the primary example in this post, the concept and vision for what we can do with IoT data that we generate is where the opportunities are. As IT and Enterprise Architects, this is where we have the opportunity to shine and evolve by understanding the processes and building the architectures to support them. Creative problem solving through technology at its best. These are exciting times for those of us in healthcare technology architecture!